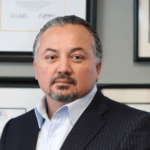 I’m Dr. Sal Arria, Co-Founder and CEO of the International Sports Sciences Association. Back in 1978 I started the first chiropractic and sports medicine clinic in Santa Barbara, CA. It was the largest sports medicine clinic between Los Angeles and San Francisco and we actually had a gym. The glass-walled gym inside of our clinic so that patients could see that not only was the treatment important but their training and conditioning after the treatment was critical to the outcome of their recovery. From that, we developed the International Sports Sciences Association. The ISSA is the first organization in the United States to certify personal trainers. I’ve known Brian Theiss for over 30 years now. 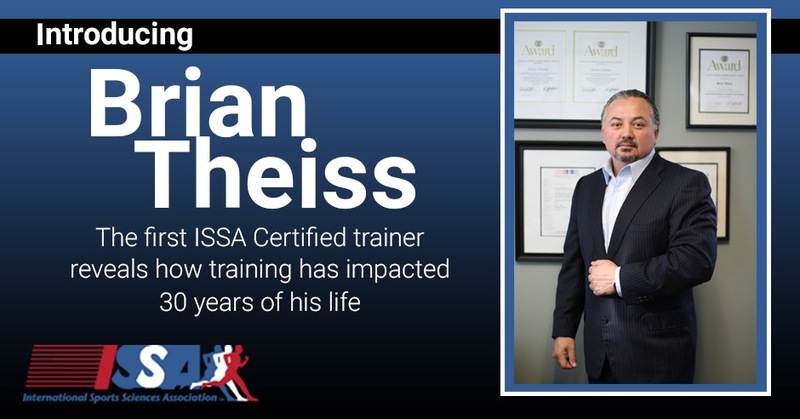 Brian was actually a patient of mine and when we started the ISSA, the International Sports Sciences Association, I suggested to Brian that he get involved and he became the first ISSA personal trainer at that time. Today, he has taken personal training to an entirely new level. A level that most personal trainers in the United States don’t even think about. That is, that level of executive health and fitness that you just have to hear about. Executives and CEOs of big corporations just don’t have the time to focus on healthy aging. It’s sad, but they just don’t have the time to set aside to get in shape. They are too busy running a large company. Brian has made his training program tailored specifically to objective goals that work. That make changes in executives lives. He has that experience. Unlike most people who watch professions and how things evolve, Brian has been the leader. That ability to take and to see what is coming up and to make and adapt to those changes is what puts him at the forefront of the health and fitness profession. If clients are put on a training program, a canned program, they fail. Brian’s approach to health and fitness is way different. He takes each individual and tailors their training program specifically to their needs and their physiological responses. Their work environment. All of the factors to make a change in lifestyle, not a temporary change. That is critical to the outcomes over a long period of time. You can go on a diet and lose a little bit of weight but chances are you are going to gain it back. 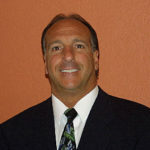 If I had to pick a personal trainer in the United States, in the ISSA we have certified and trained over 200,000 trainers in the country, I would have to say that Brian is absolutely one of the finest ISSA certified personal trainers in the United States and I would recommend his training program to anyone who is considering a lifestyle change. Anyone who has to make a change in their health and their outcomes and their physical well-being. I would recommend Brian and the TheissCare training program without reservation.